WHERE DID THE AZTEC COME FROM? The Aztecs were a pre-Columbian society based in modern-day Mexico. Understanding their history is important to many other topics and people, including: Age of Exploration, Hernan Cortés, and more. The Aztec civilization was one of the biggest in the New World, and the story of their collapse is an important event in the world history. The Aztecs, who referred to themselves as the Mexica, extended throughout much of central Mexico and existed from the 14th century until the 16th century when they were conquered by Spanish conquistadors led by Hernan Cortés. However, to understand the Aztec Empire, its first important to understand their early history and how they came to be. The capital city of the Aztec Empire was Tenochtitlan and was first established in 1325 in the Valley of Mexico. Before establishing the city, the Aztec people are said to have come from the desert areas of northwest Mexico, such as the Sonora Desert. The time period before the Aztec established the city of Tenochtitlan is referred to as the ‘Long Migration’. During this time, Aztec history talks of the Aztec people leaving their homeland in the desert, called Aztlan, and migrating south over a period of two centuries. They didn’t settle again until reaching central Mexico and Lake Texcoco in the Valley of Mexico. This period of migration is an important aspect of Aztec history and highlights their religious beliefs. 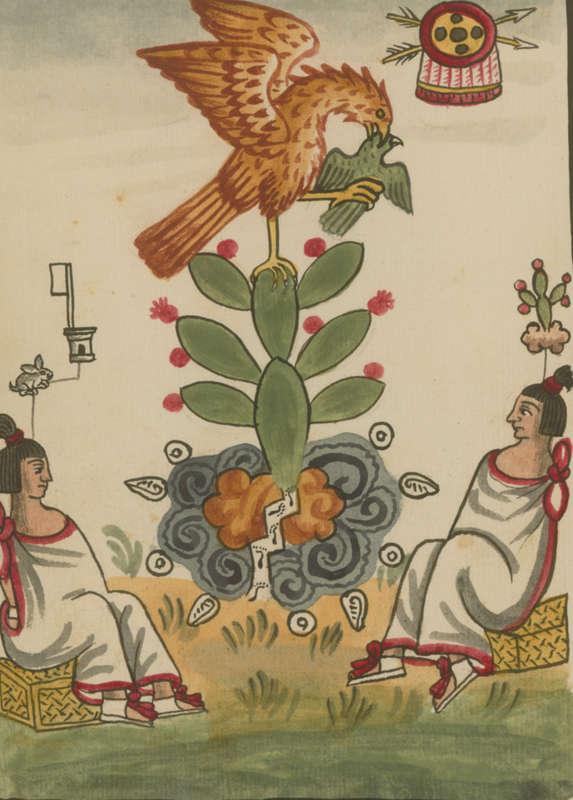 For example, in searching for a new homeland, the Aztecs waited until they came across a specific sign that was said to have been instructed to them by the god Huitzilopochtli. The sign they searched for was an eagle on a cactus holding a rattlesnake. They supposedly came across this sign after two centuries of migration when they arrived on the swampy shores of Lake Texcoco in the Valley Mexico. Officially, the city was founded on July 20th, 1325 on the western shores of the lake and was named for their chief Tenoch. Tenochtitlan means ‘the city of Tenoch’. 16th century image showing the migration of the Aztecs to Tenochtitlan. 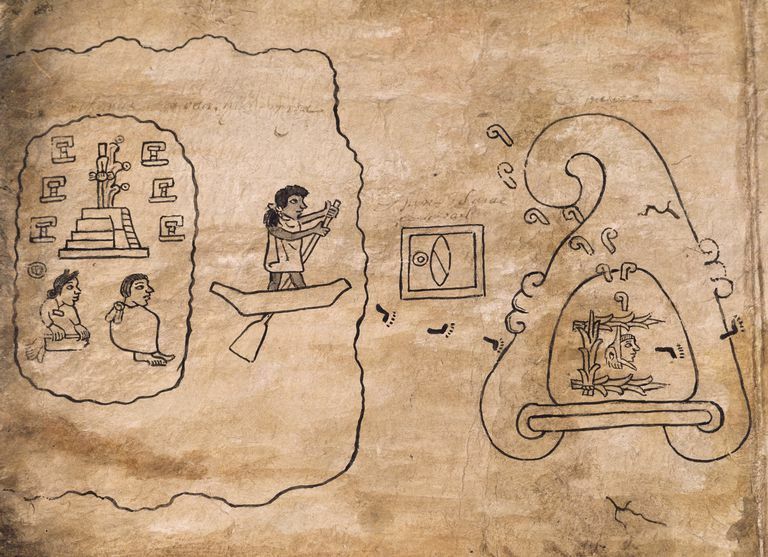 The image comes from the Boturini Codex. 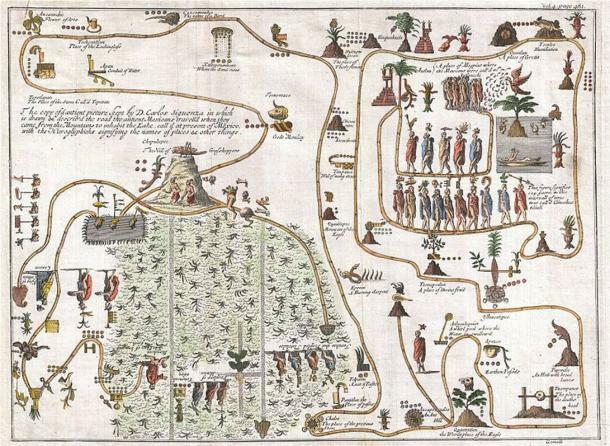 This 1704 map, drawn by Giovanni Francesco Gemelli Careri, is the first published representation of the legendary Aztec migration from Aztlan, a mysterious paradise somewhere to the northwest of Mexico to the Valley of Mexico. At the time the Valley of Mexico was populated by many different powerful civilizations, including: Chalco, Tepanec, Tlacopan, Culhuacan, and Chichimec. Several of these civilizations were also on the shores of Lake Texcoco, including the Culhuacan which were on the south shore. As such, when the Aztec people arrived in the Valley of Mexico they had to contend with the other civilizations. In fact, the Aztecs clashed with several of these groups and were briefly expelled and forced to relocate to a different location on the lake. Regardless, Tenochtitlan prospered quickly as a city.